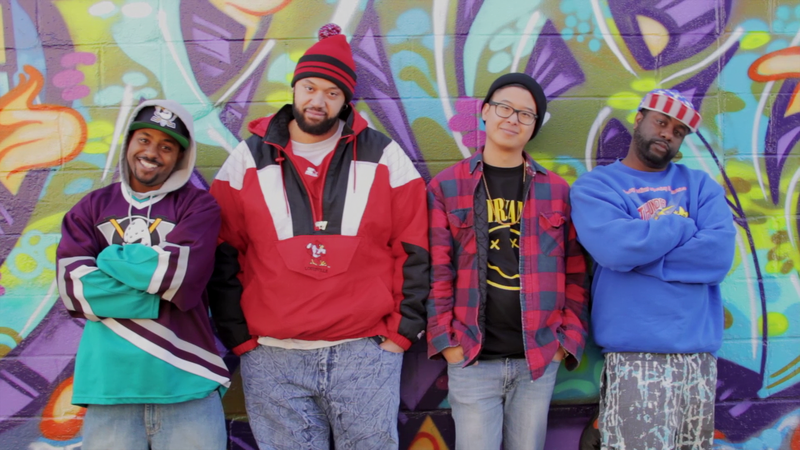 Louisville, Kentucky-based hip-hop quartet Skyscraper Stereo and Under The Gun Review are teaming up to premiere the band’s new video for the track “Ya Boy Gets Right.” Channeling the inner ’90s child, the video oozes every cool piece of nostalgia we can recall from the last decade of the twentieth century. With a beat composed of 8-bit simplistically associated with the decade portrayed in the video, the song’s hook is addictive and memorable. The video has everything a ’90s lover could want — from Super Nintendo to a Beavis and Butthead appearance. Unlike many acts of this generation, the quartet pulls old school hip-hop influences, a la Run DMC, and mixes it with quintessential pop influences the likes of Prince. Follow the jump to watch the video for “Ya Boy Gets Right” in full and leave your thoughts in the comments below.